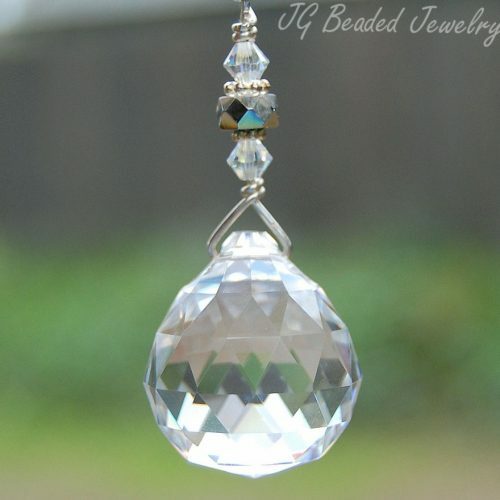 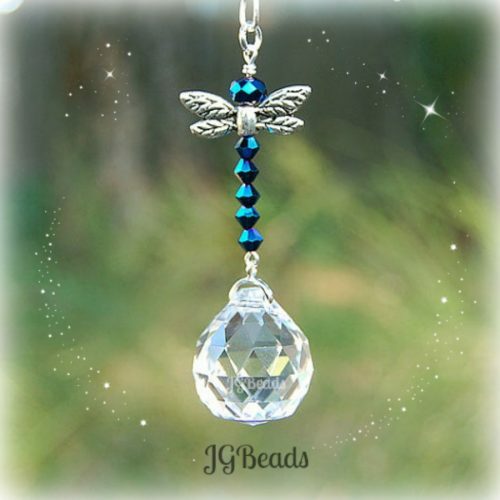 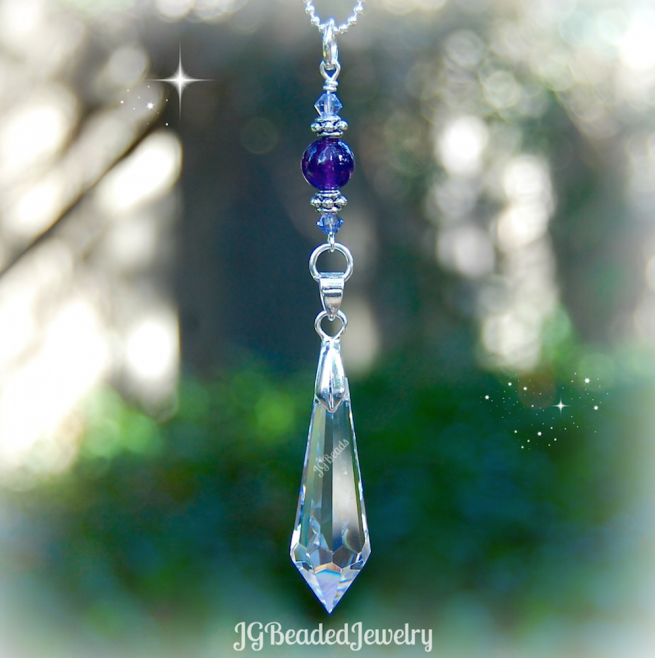 This Swarovski amethyst crystal teardrop prism suncatcher is perfect as a rearview mirror or window decoration! 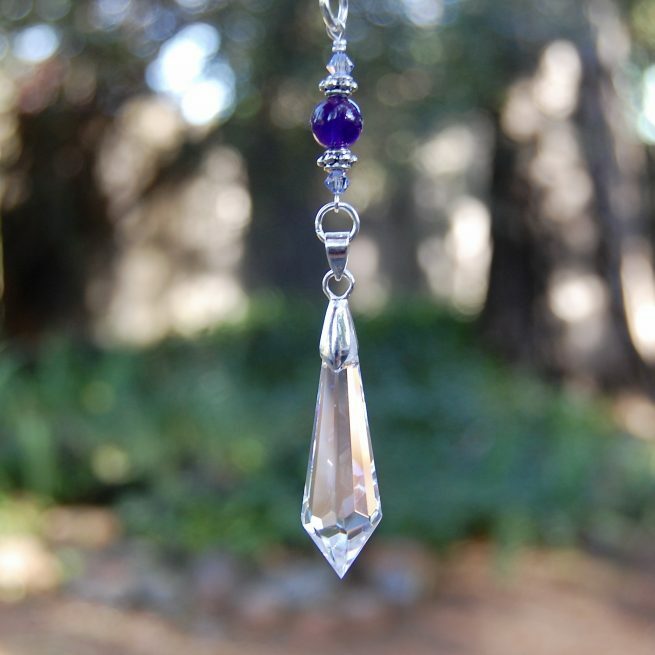 The suncatcher is uniquely designed with a beautifully faceted 1.5″ teardrop prism crystal that is securely wire wrapped with attention to detail with a beautiful purple amethyst gemstone, flawless lavender Swarovski crystals and fancy silver metal beads. 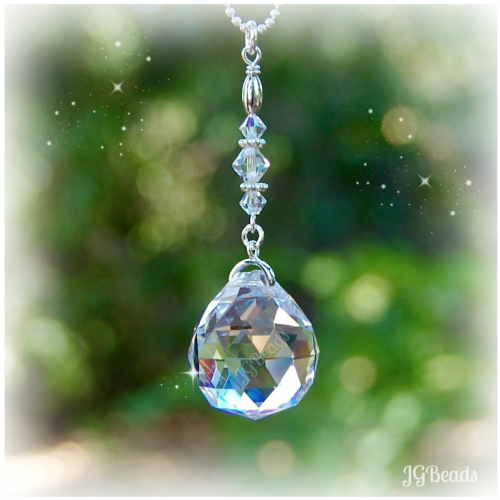 2) Window/Home Decor – a 6″ chain with ring for hanging in a sunny window at home, the office or wherever you choose!